Hey LC readers! It’s us again, the ladies of skinnyfatgirldiary.com. The holidays are in full effect and there’s been no shortage of crafting and cooking—from Lauren’s Friendsgiving to our Blogger Calligraphy event and cookie exchanges. This has been an inspiring and busy season. It’s also the season to give thanks to your friends and family for all their support. We are so thankful to our loved ones who have talked us down from crazy, know that wine is a necessity not an option, and told us to put that cookie tin down! This holiday season, we felt a homemade gift would be best. 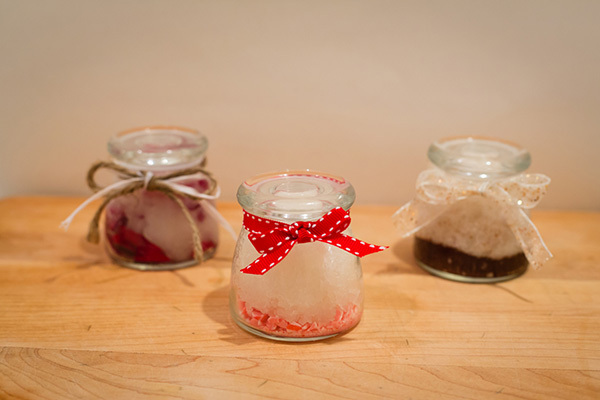 So we crafted three different types of sugar scrubs: cinnamon sugar, peppermint, and rose petal. They are perfect to combat winter dryness and smell divine. 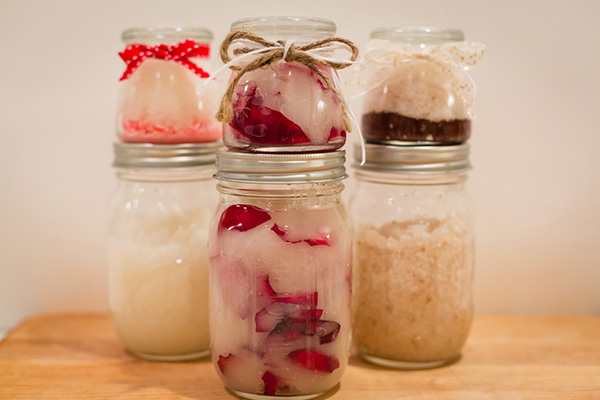 And since a couple of our friends are expecting little ones, we wanted to make gifts using all-natural ingredients that would be delicate on the skin. The scrubs are made with coconut oil, which battles stretch marks as well. They also make great stocking stuffers! 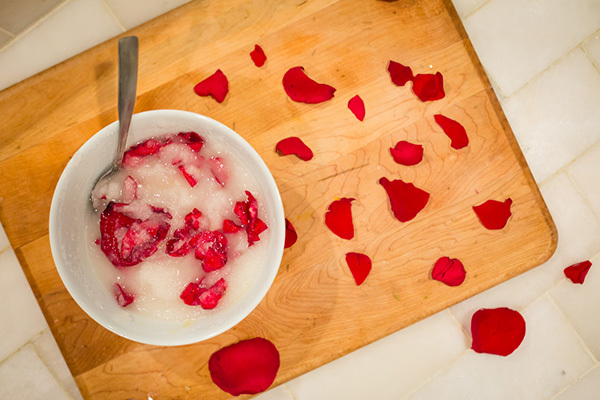 While we loved all three of the scrubs, the rose petal sugar scrub was our favorite. Something about it made us all say “aww” at the same time. 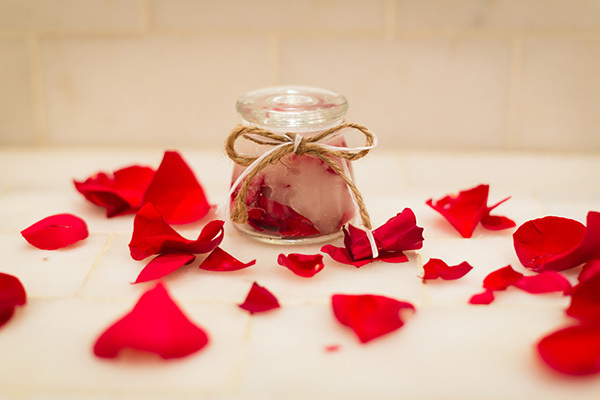 Rose oil is used to help increase your body’s circulation and boost the immune system. Perfect for holiday traveling! Combine all ingredients in a jar and mix gently. It’s as easy as that! 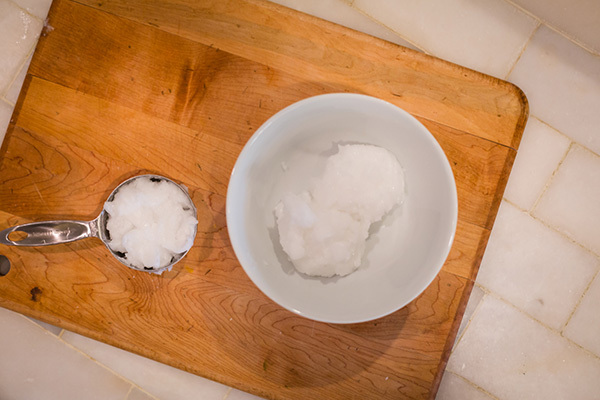 You can check head over to our blog for the peppermint scrub and cinnamon-sugar scrub recipes. Do you have any other fun DIY gift ideas of your own?